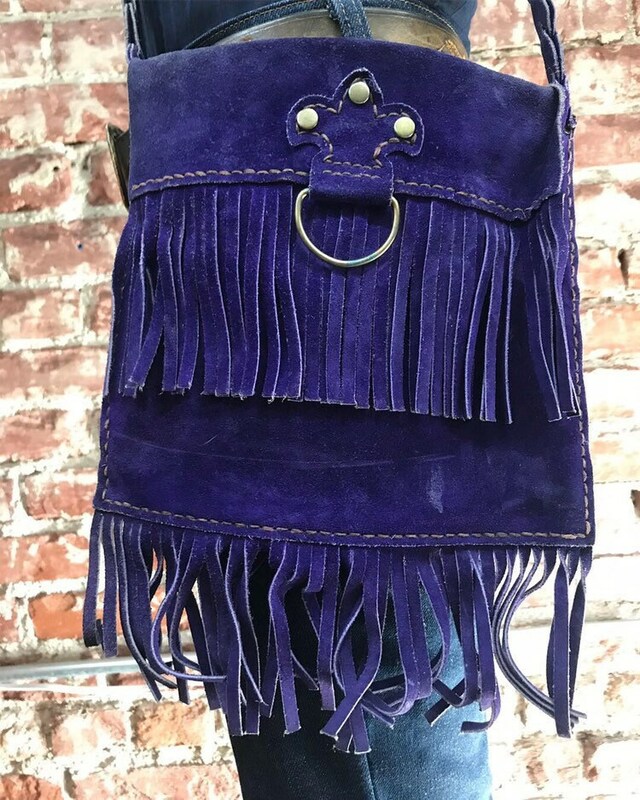 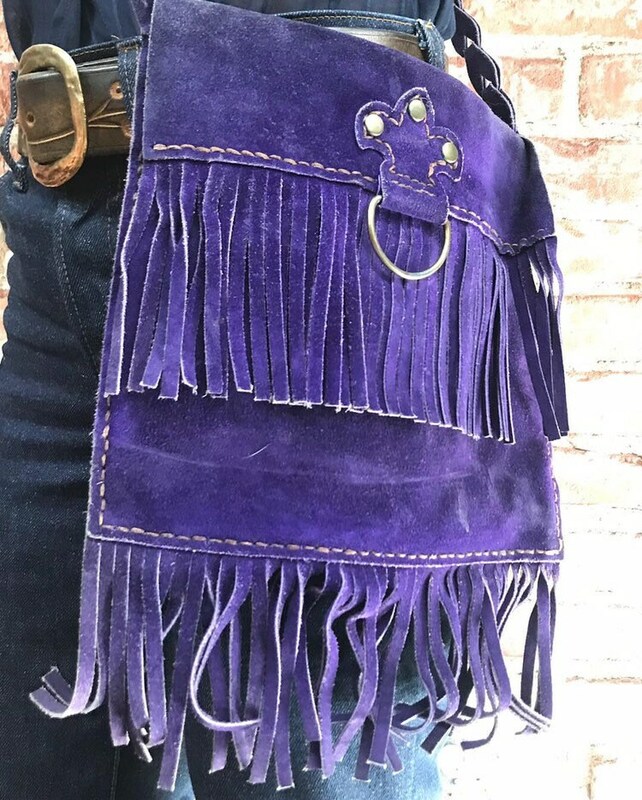 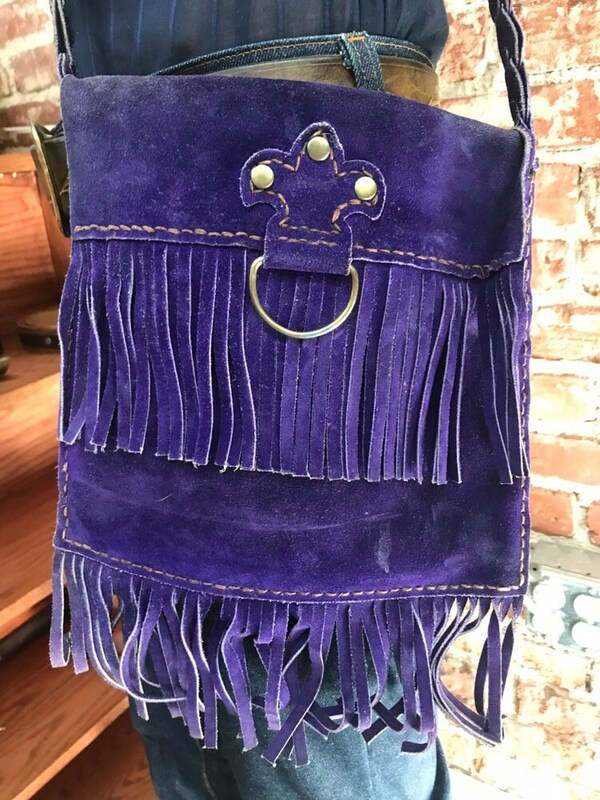 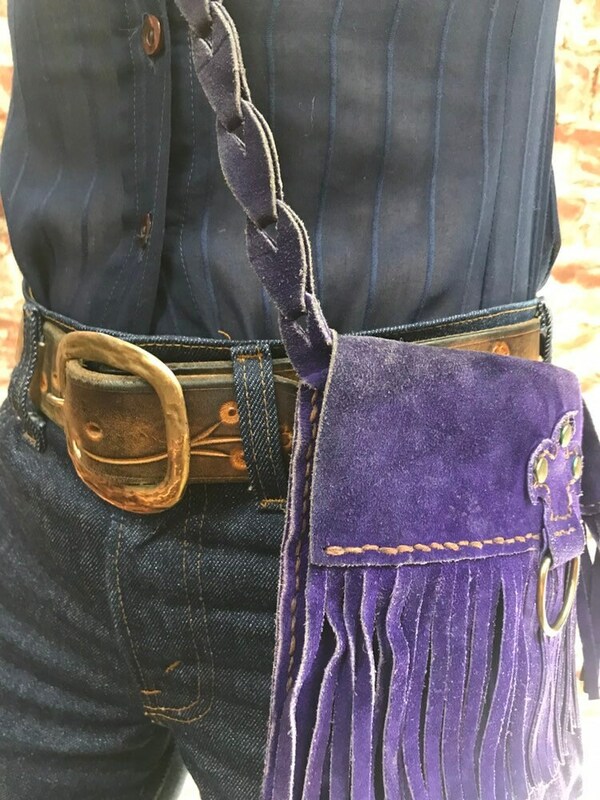 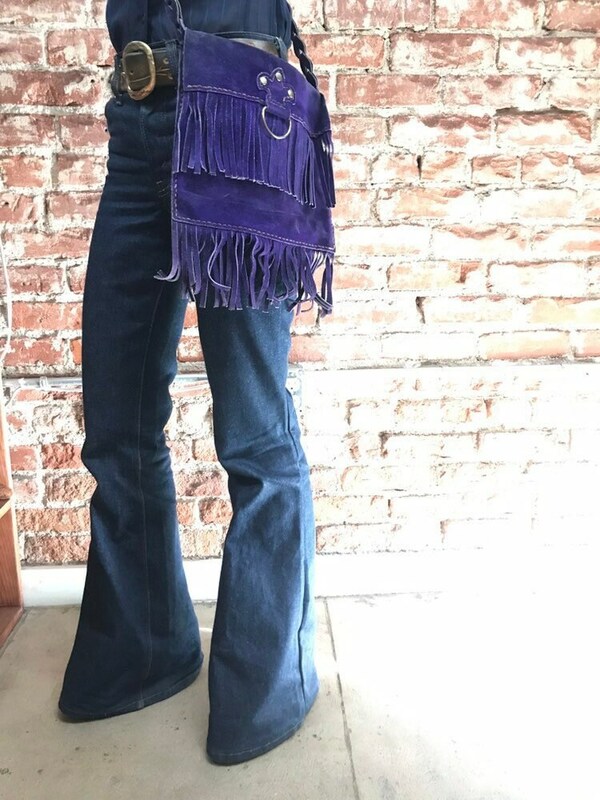 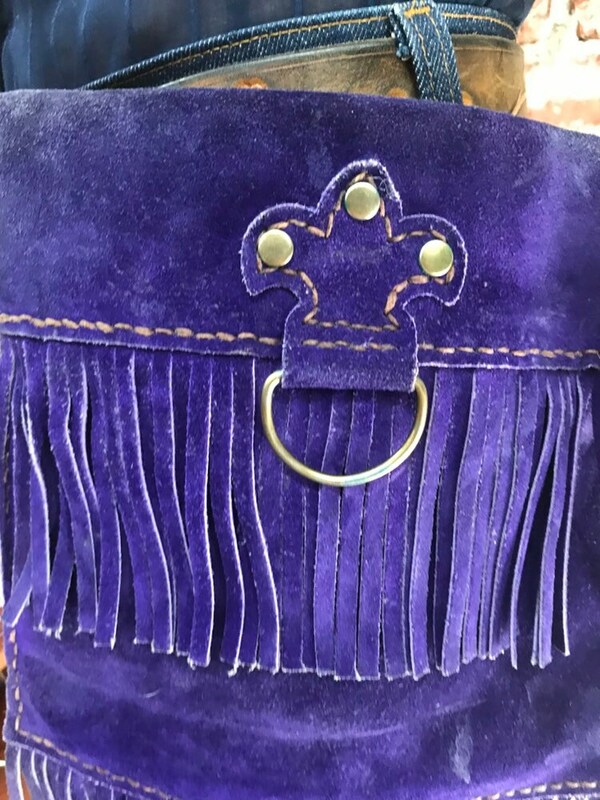 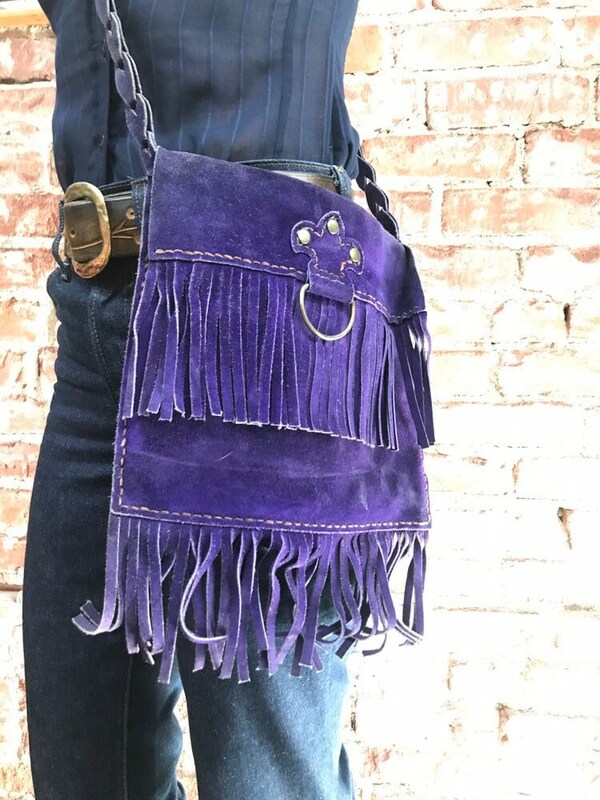 Incredible and rare seventies purple suede fringe purse. 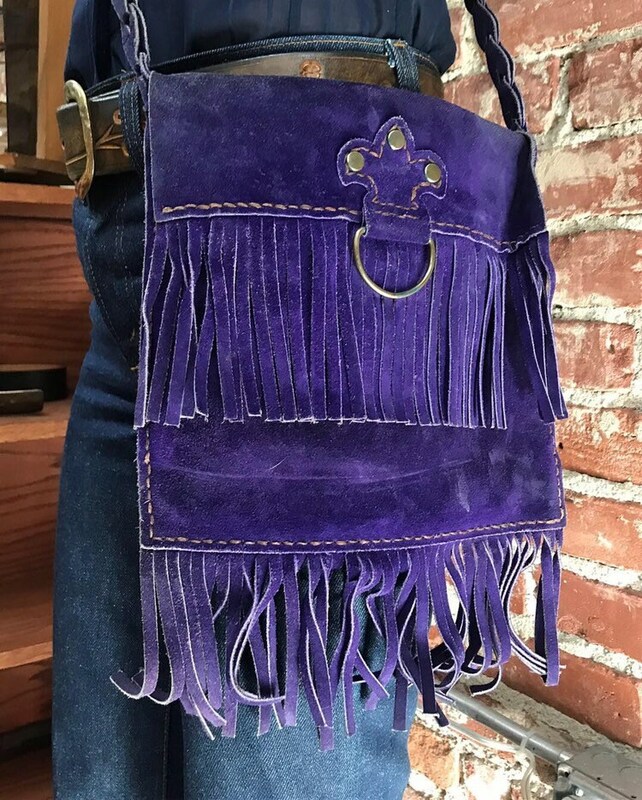 Suede chain link long strap. 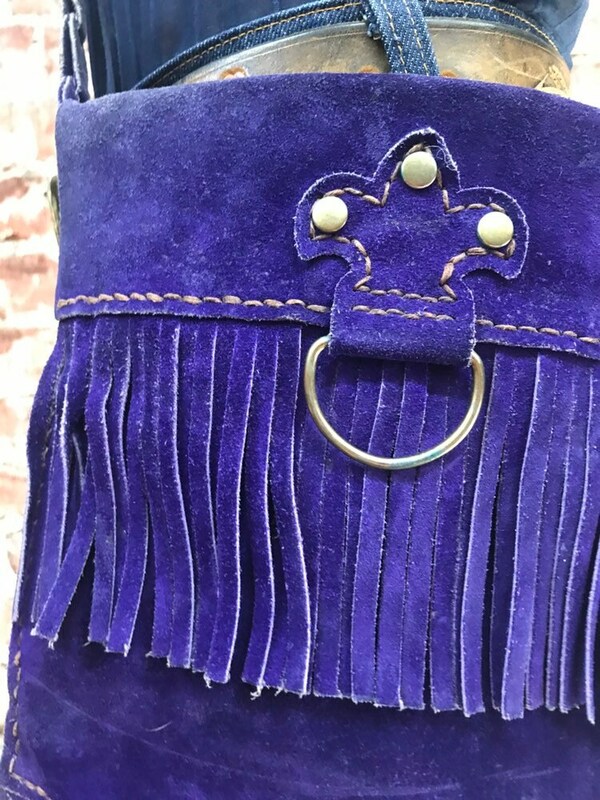 Crest shape hoop ring detail. 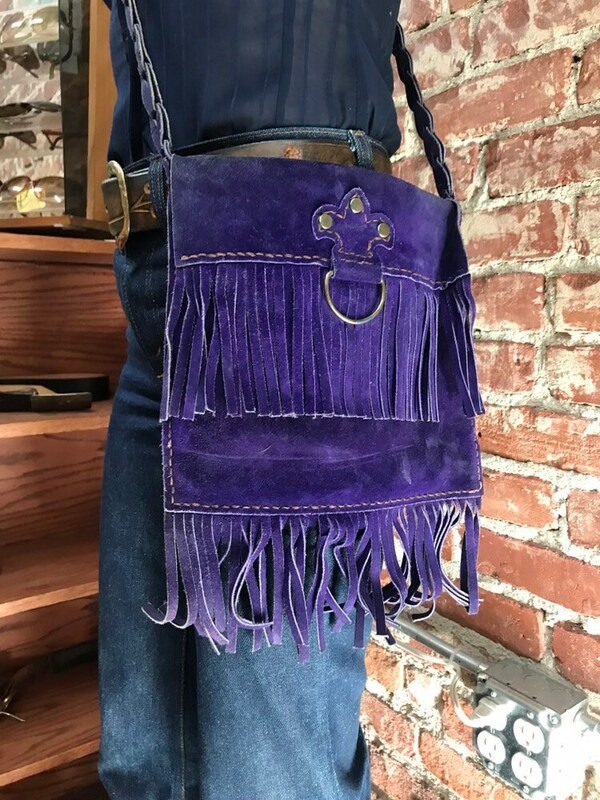 This is a stunning ‘70’s Purse that you will cherish.